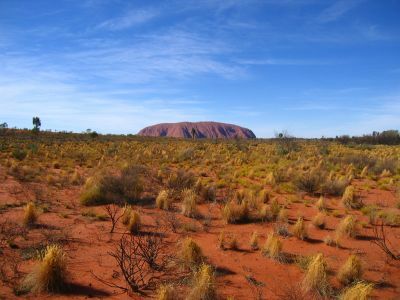 stephanie and i drove deep into the outback to uluru (ayer's rock) and this was the first view we got of it. 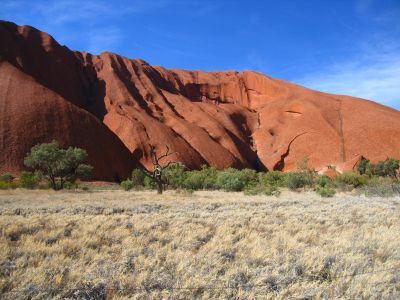 another shot of uluru from a different angle. you can't stop pulling the car over to take pictures of it. 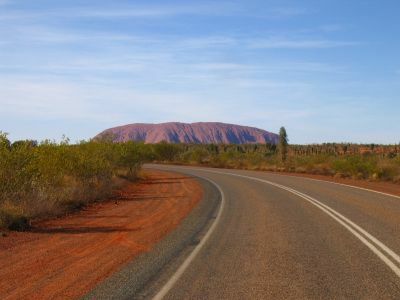 we drove around it on the first day. here is a closer shot of it. 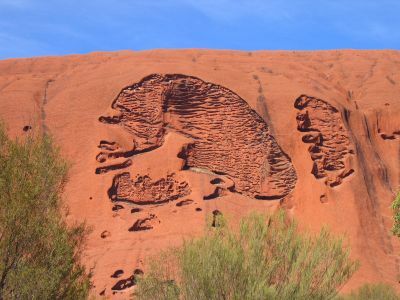 the rock has some cryptic patterns eroded into it. here i am doing big arms for some reason. an extra close-up of a buffalo-like pattern. 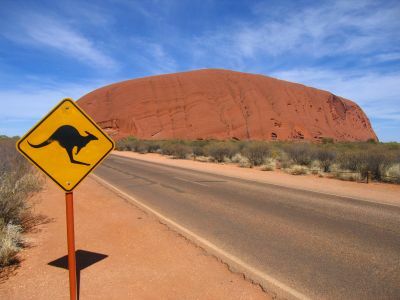 i'm guessing that this is the most photographed kangaroo sign in australia. steph got into the act too. 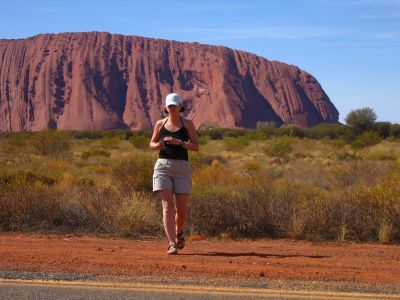 here she is walking back to the car after her 10,000th picture of uluru. 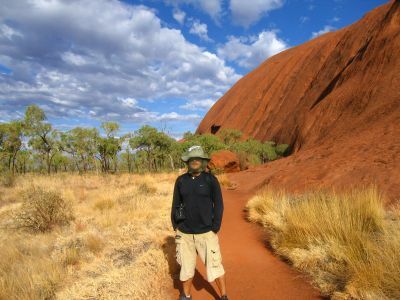 the next day, we took the walk around uluru to explore the cave paintings and the natural patterns. 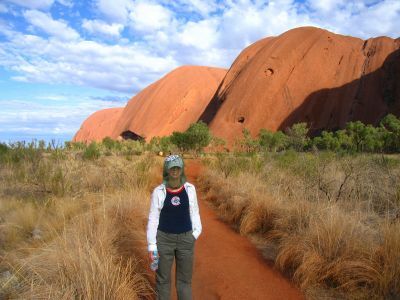 here's steph wearing a fly-net to ward off the hundreds and hundreds of flies. 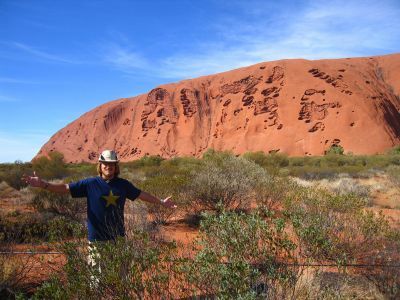 don't go into the outback without one. i was wearing one too.